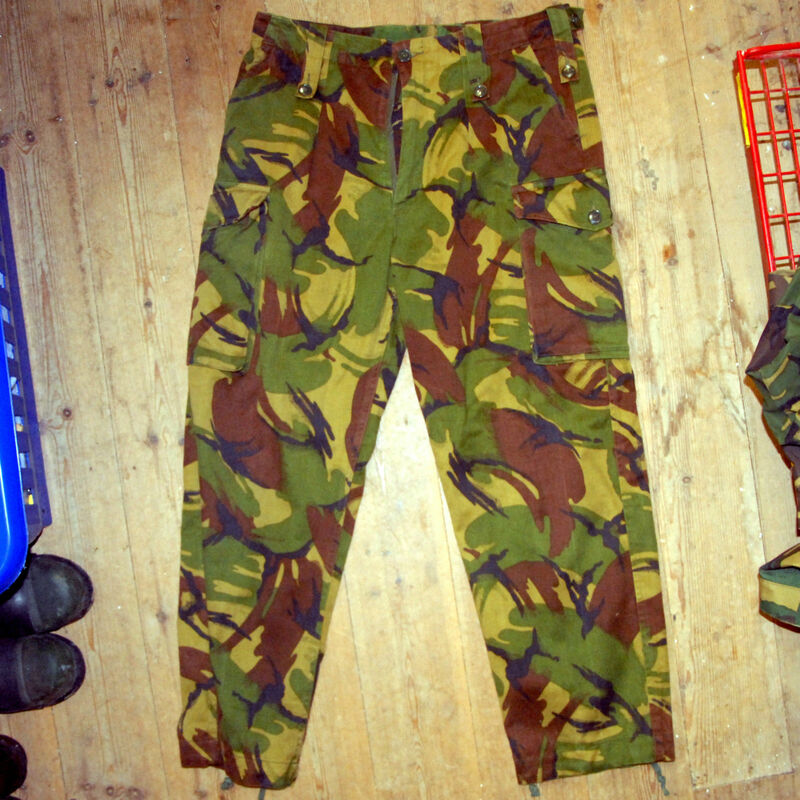 German army flecktarn over trousers. Large size. Waterproof and breathable. Zip fly with poppers at waist. 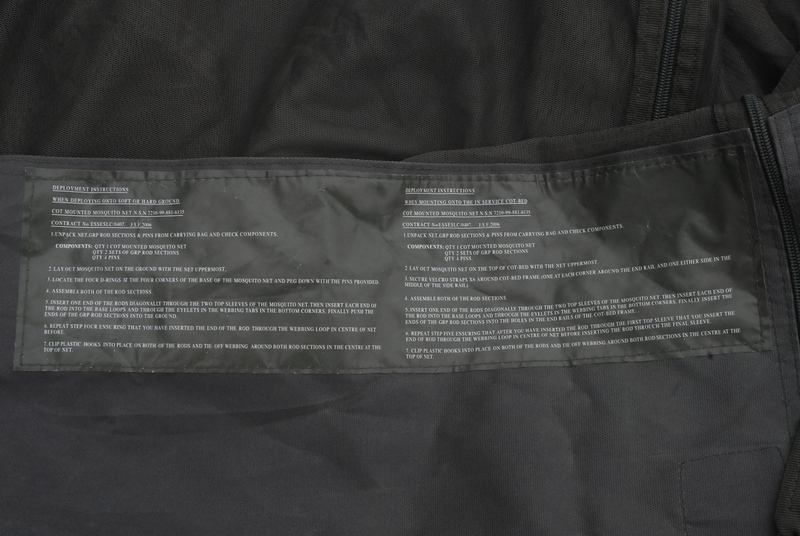 Waist will go to a maximum of approximately 44" but has velcro to adjust. 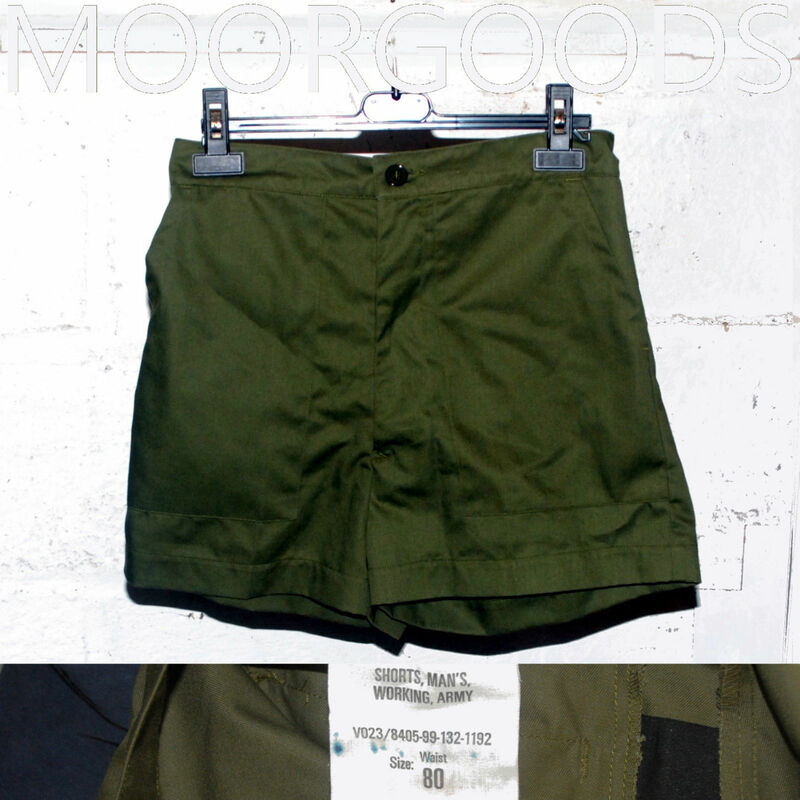 It will go down comfortably to about 28" Two zipped openings to access pockets in trousers worn underneath. Integral braces with elasticated straps and plastic buckles ALTHOUGH SOME OF THE PLASTIC BUCKLES ON THE STRAPS ARE BROKEN so we have reduced the price. Zips running up both legs to just below the knee to widen trouser leg allowing boots to fit through. In very good condition. 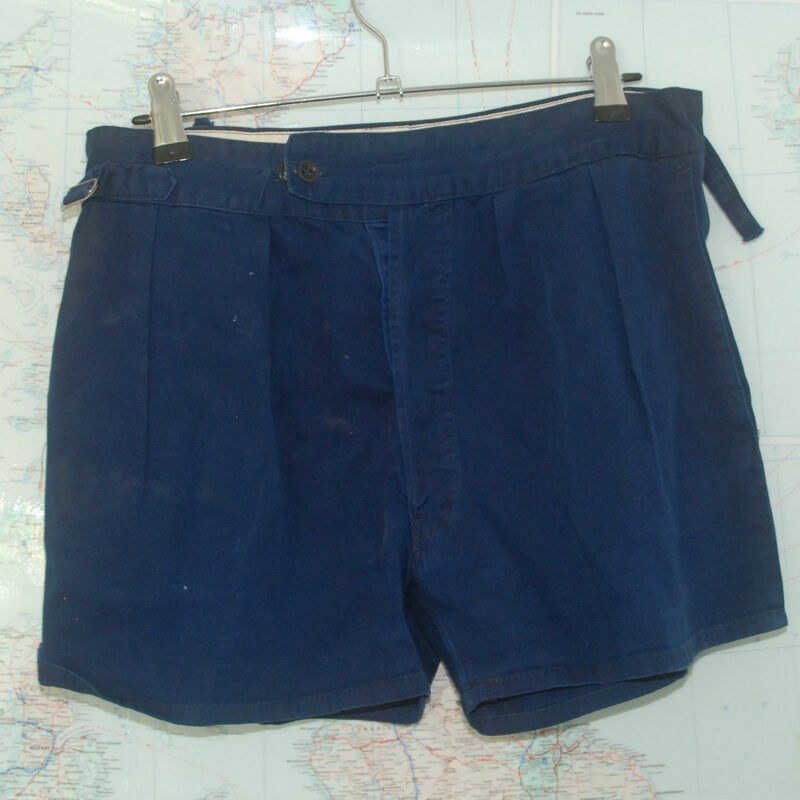 Trousers, blue. 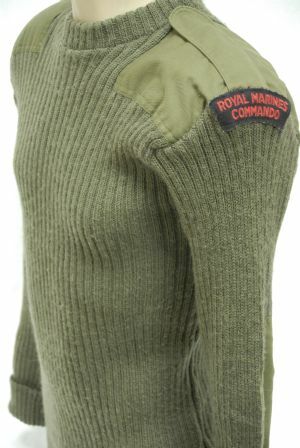 Royal Navy Submariners FR Aramid, mens. 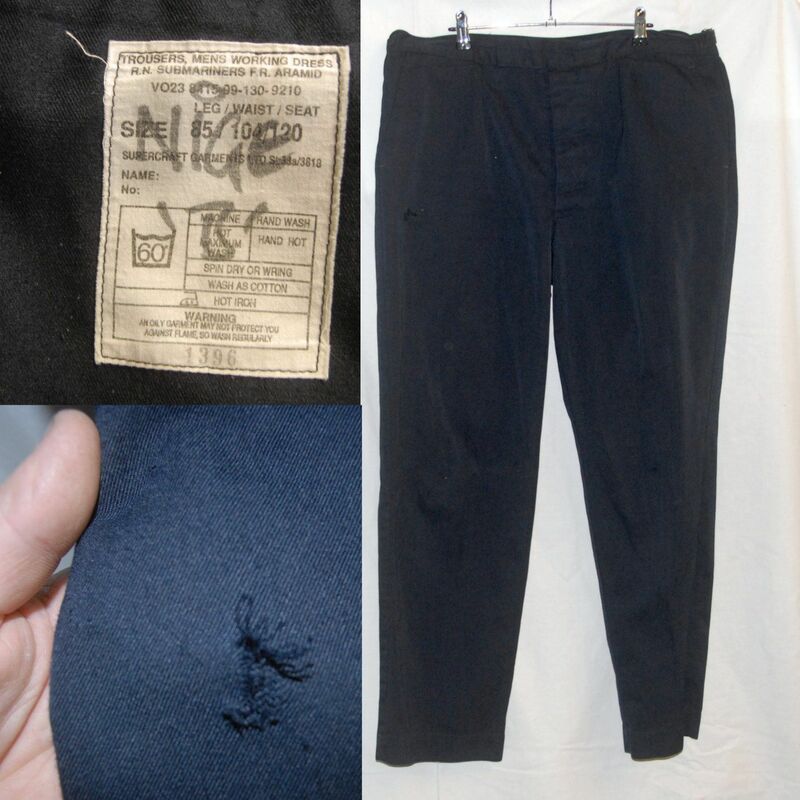 One pair are in good condition, the others have a small area of damage by the right front pocket. This is the pair pictured, please make an offer. 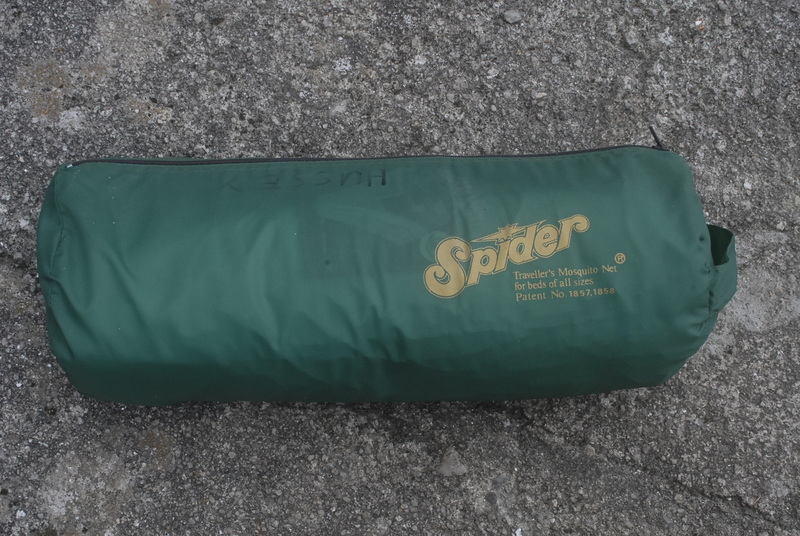 Size 85/104/120 Sizes are in cms and are in this format: waist/seat/leg. 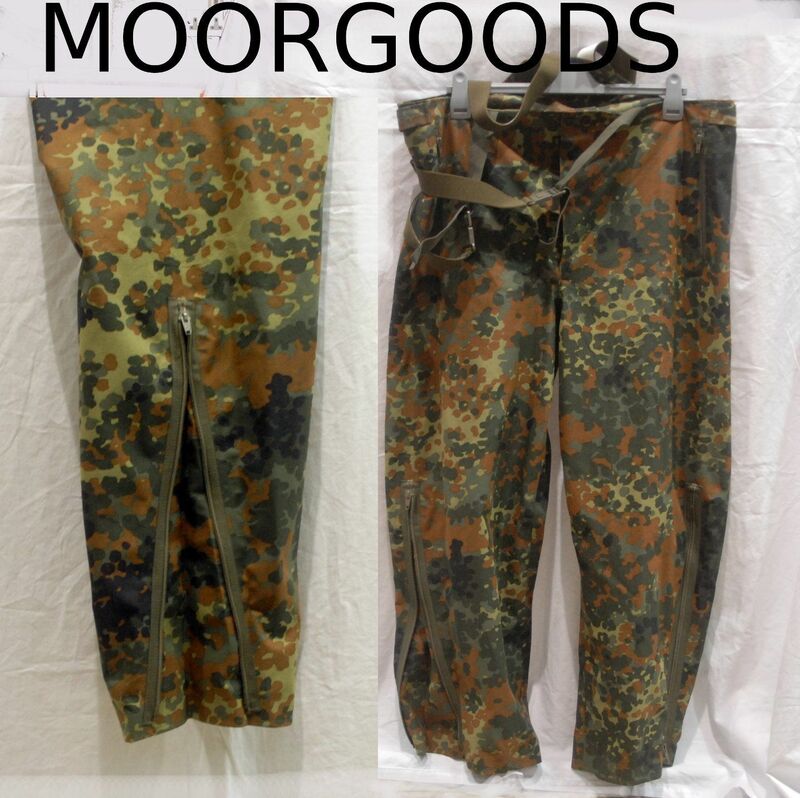 To convert to inches, divide each measuremant by 0.39 Please see our other listings for much more military surplus clothing, footwear and bags ect. 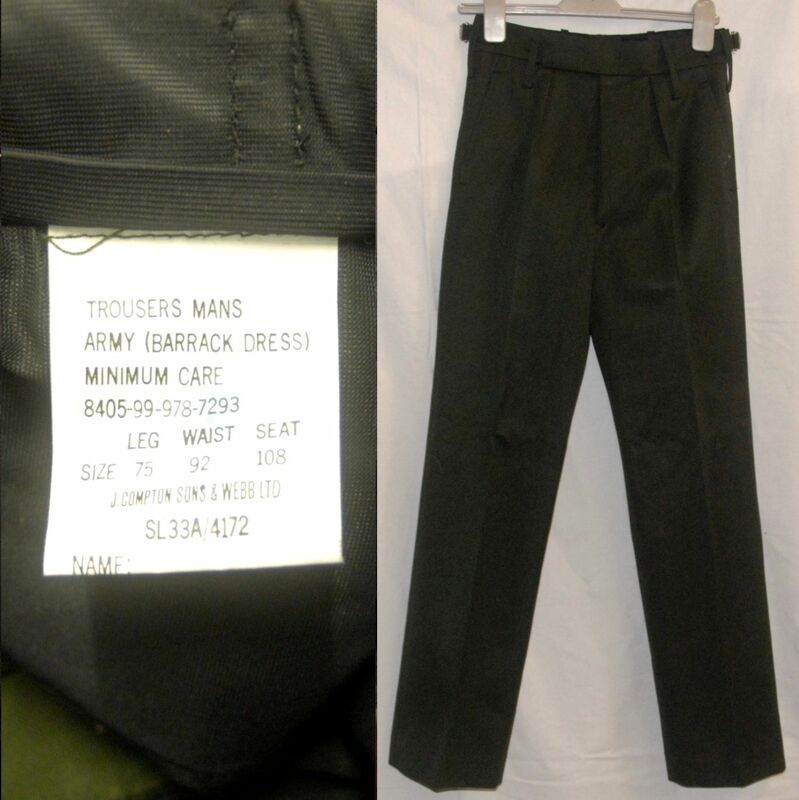 Swedish army trousers in good condition Swedish size Equivelent in inches (waist / leg) Quantity C46 31 / 29-30 1 C48 33 / 31.5 3 (one pair has some small marks on the lower of the legs on the back, see last photo) F18 1 We also have matching parkas and other trousers. 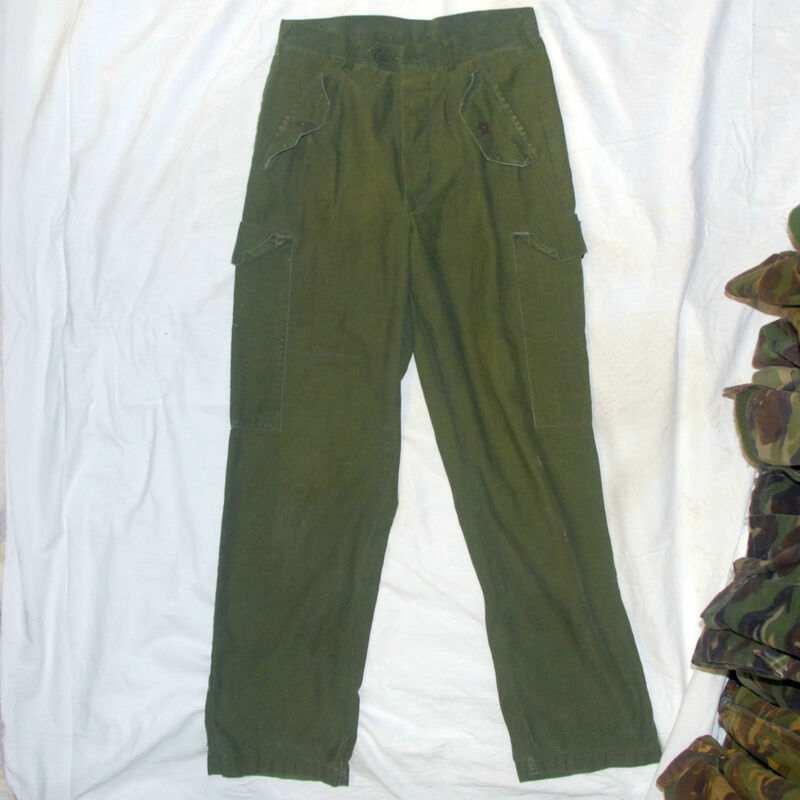 British Army DPM temperate combat trousers. 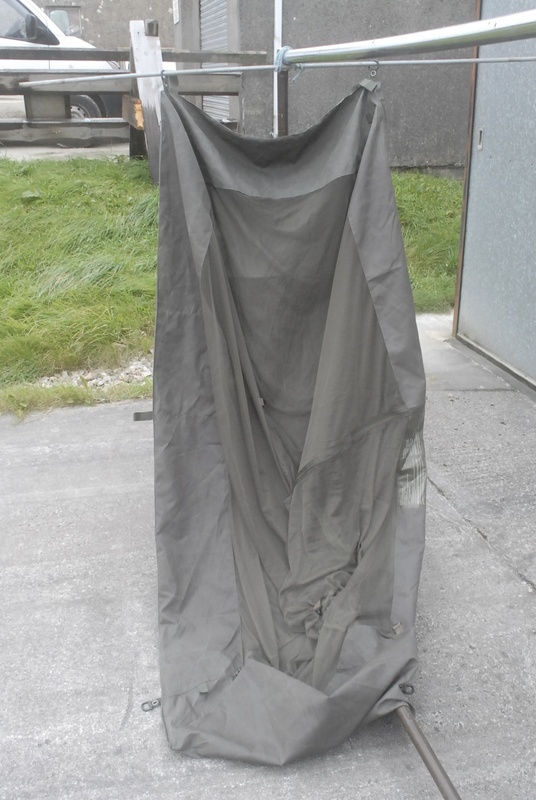 Heavier weight material than the lightweight trousers, please see our shop for those. Sizes are listed below along with the quantity available. Sizes shown are metric measurements of leg/waist/seat respectively in cms. If you want to convert to inches, then multiply the figures by 0.39 For example a 72/82/100 has a 28" inside leg with a 32" waist and 39" seat. Size Quantity available 75/88/104 1 80/80/96 2 80/84/100 1 85/80/96 1 Please state size required when buying or we will not be able to dispatch anything. 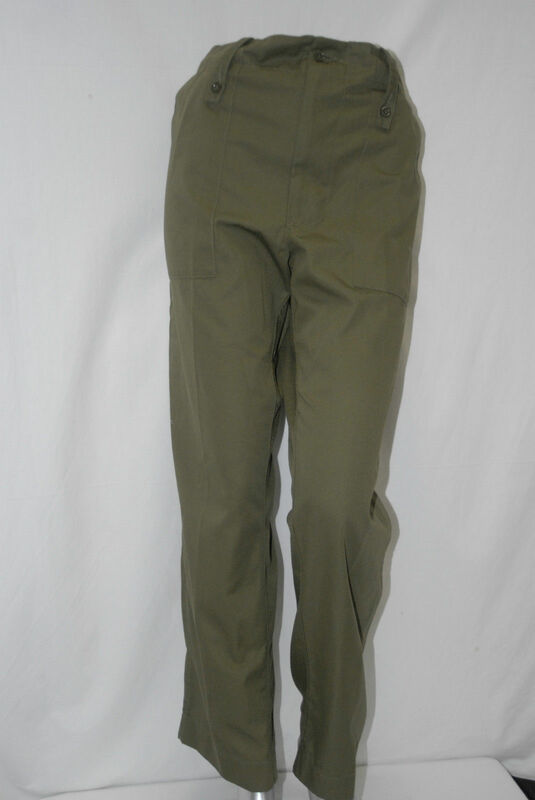 British Army lightweight trousers in plain olive green. 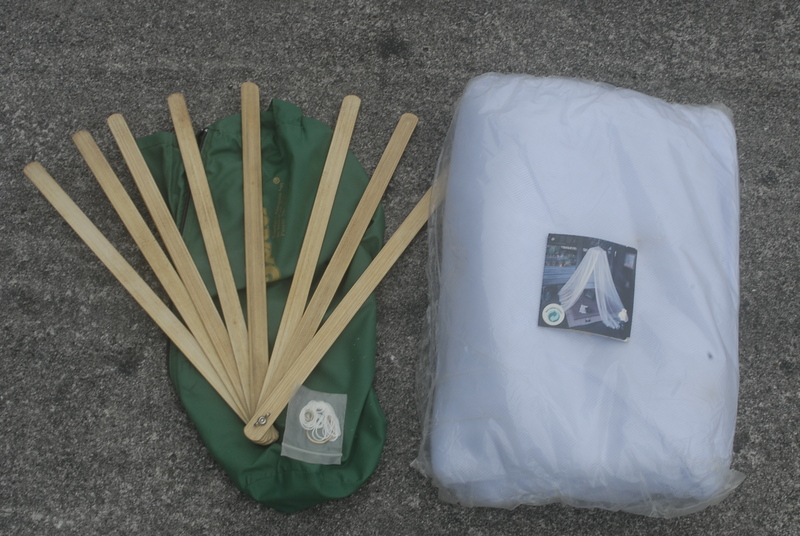 We have a huge range of sizes which are listed below along with the quantity available. Sizes shown are metric measurements of leg/waist/seat respectively in cms. 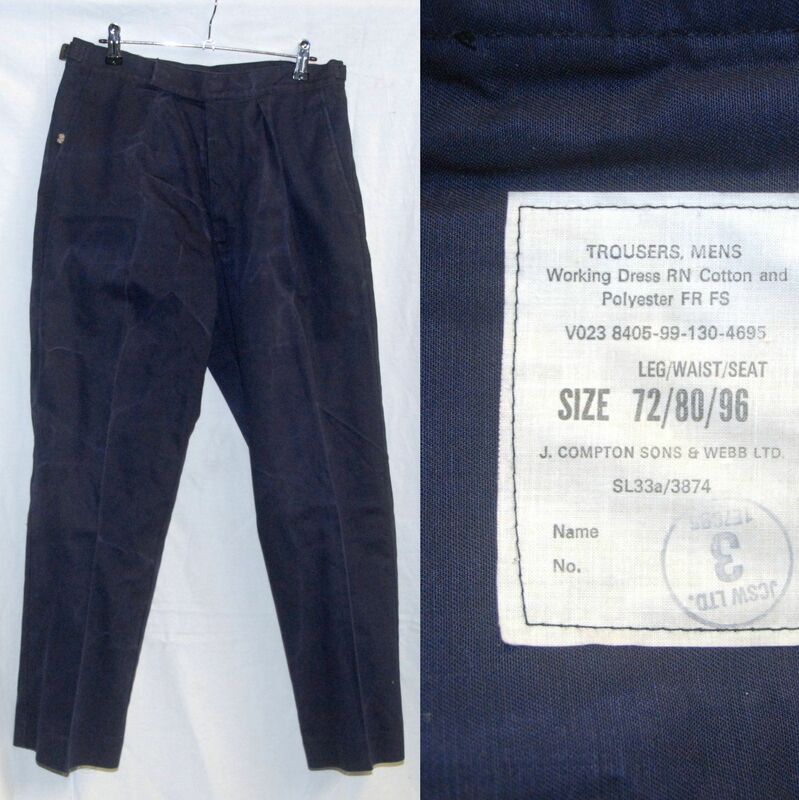 If you want to convert to inches, then multiply the figures by 0.39 For example a 72/82/100 has a 28" inside leg with a 32" waist and 39" seat. 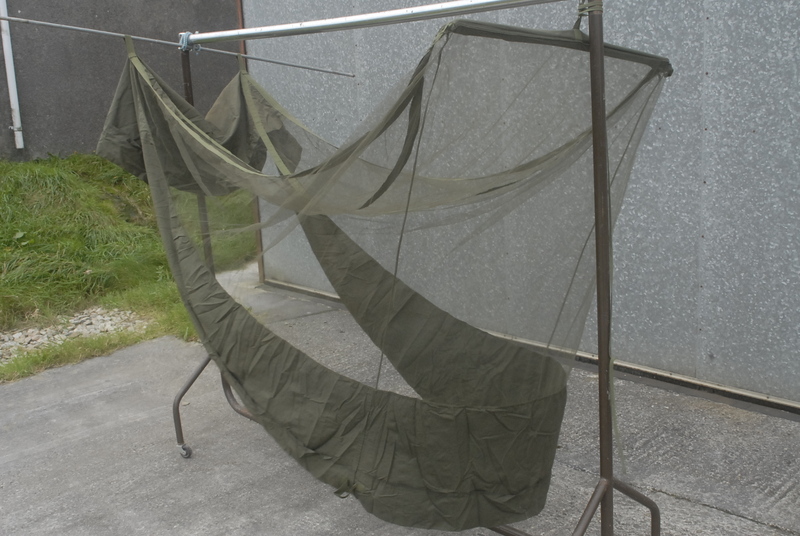 Please see our shop for DPM camouflage. Size Quantity available 80/96/112	1 80/96/108	1 80/92/108 1 75/92/108 1 85/84/100 1 80/80/96 5 85/80/96 1 90/80/96 2 Please state size required when buying or we will not be able to dispatch anything. 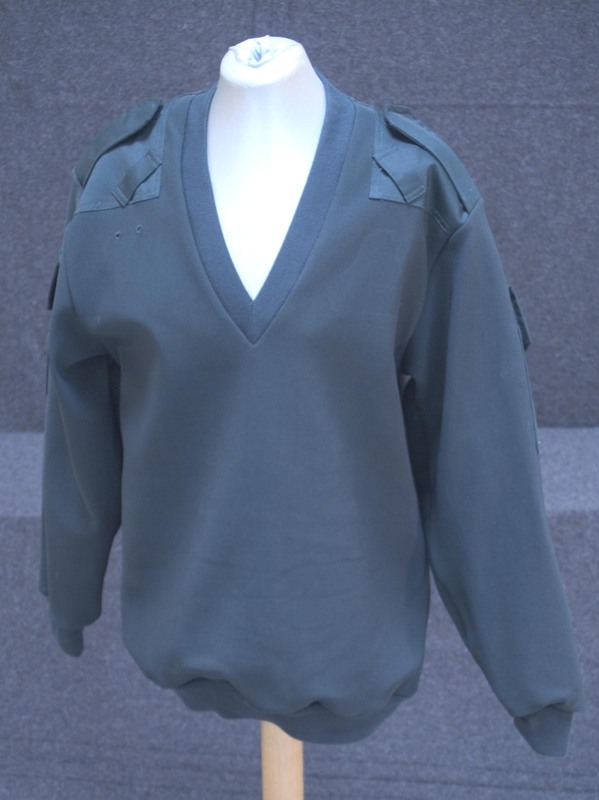 OLIVE GREEN PULLOVER VARIOUS SIZES QUALITY< GENUINE OLIVE GREEN COMMANDO PULLOVERS. PRICE IS FOR ONE OF THE FOLLOWING. PLEASE SPECIFY SIZE REQUIRED. 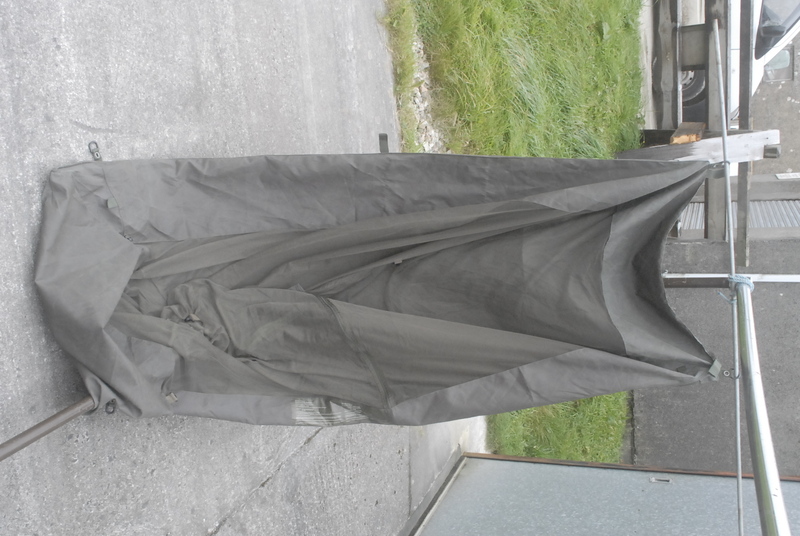 CHEST SIZE 112cm [this size has small repairable hole in chest....just make an offer for the 112cm size],106cm, 102cm, 100cm, 94cm. [these all in good condition] ALL WITH SHOULDER PADS. ALSO SIZE 4 DAMAGED WITH SMALL HOLE THAT IS REPAIRABLE. 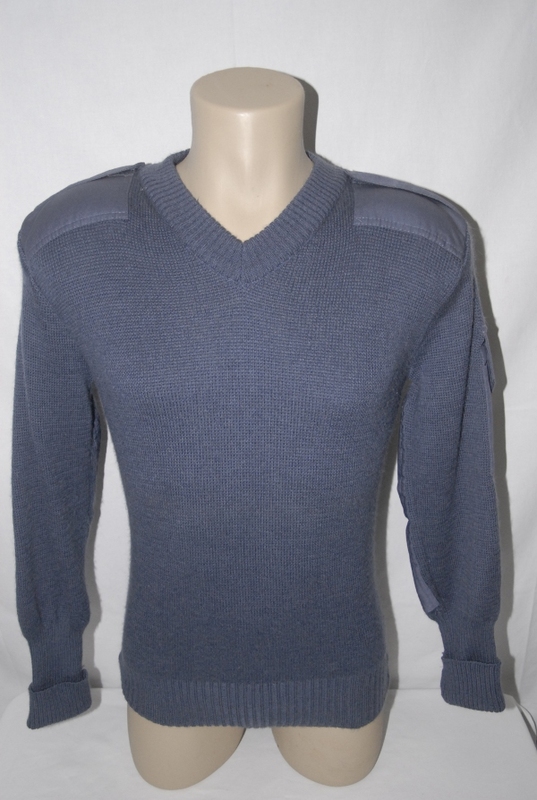 [MAKE AN OFFER ON THIS ONE] PLEASE NOTE THAT NOT ALL PULLOVERS COME WITH SHOULDER BADGE. 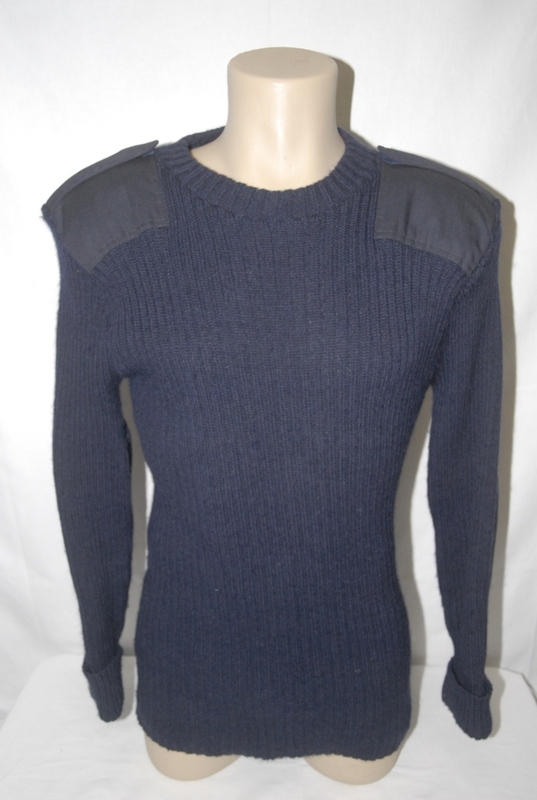 Northern Ireland Constabulary pullovers. Shower resistent, heavy weight elasticated material, pockets on both arms. Various sizes available. 1945 to present. 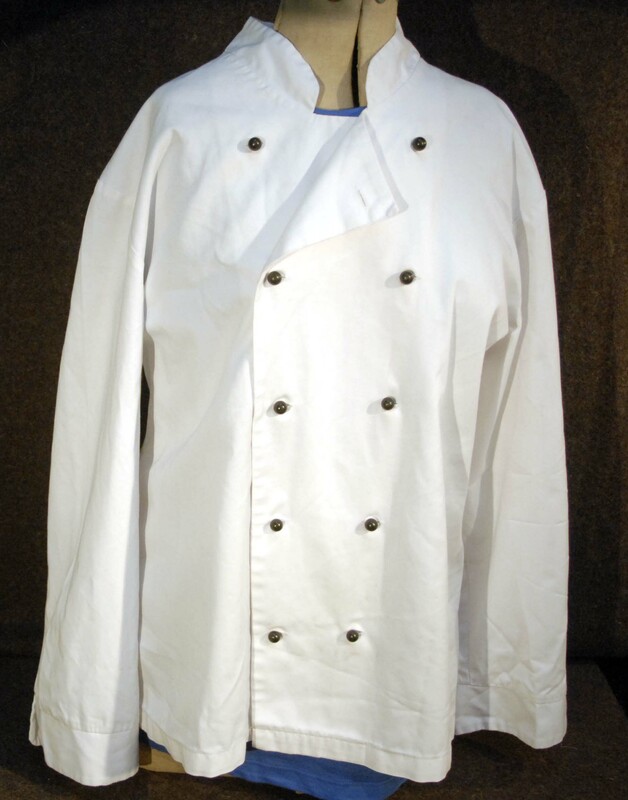 These chef jackets are ex military heavier cotton weight and in very good condition. The jackets are sized by cms of persons height and chest/bust size and have 170cms [67"]/92cms [36"], 180cms [71"]/100cms [39.4"], & 190cms [75"]/100cms [39.4"]. The jackets have the smaller holes for securing with buttons with hoops secured by brass rings...or you could make the holes larger to accept the larger plastic studs. We do have some plastic studs available separately at £0.30 each. Let us know the chest size and height before you purchase and we will confirm availability.